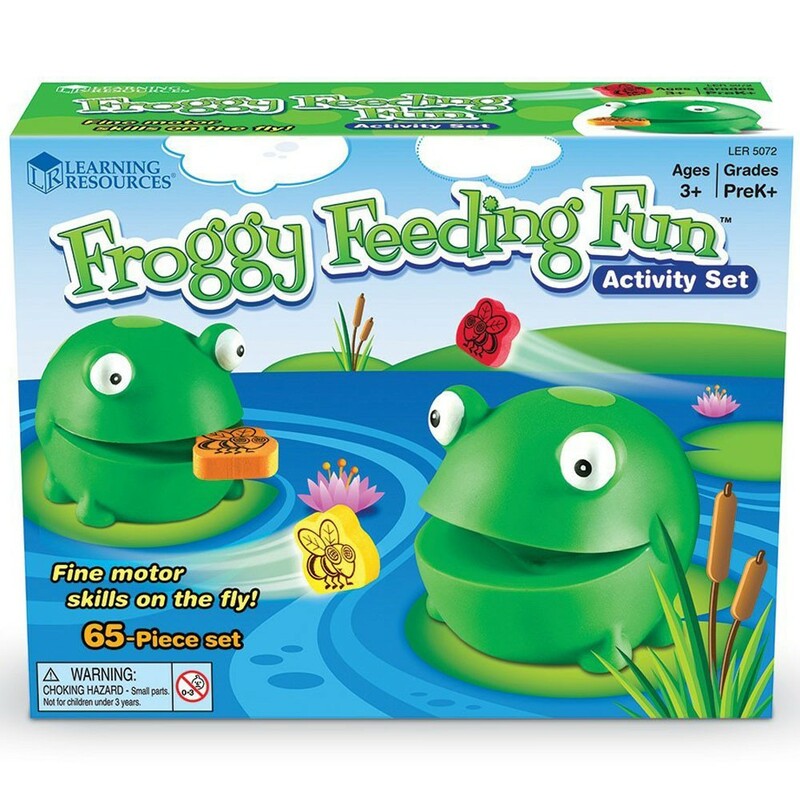 Have fun finding the right flies to feed these cute frogs as you play this Learning Resources matching game! 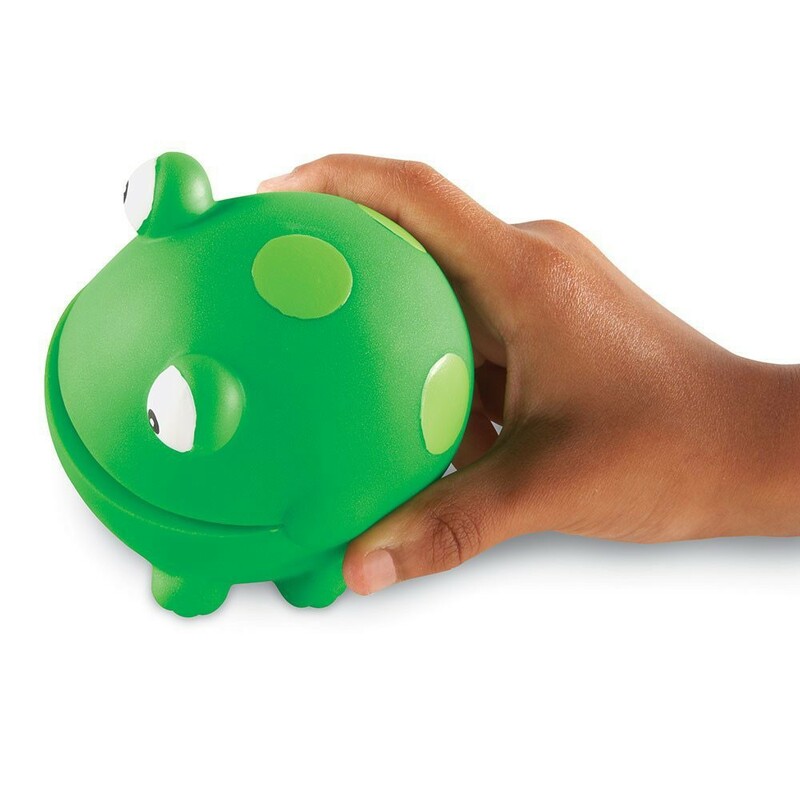 It's time to feed 2 hungry frogs! 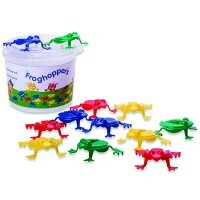 Frogs loves flies for dinner! 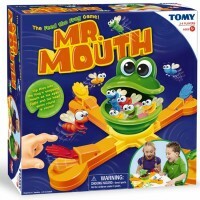 Now you can feed Froggy and play the fun game with your friends. 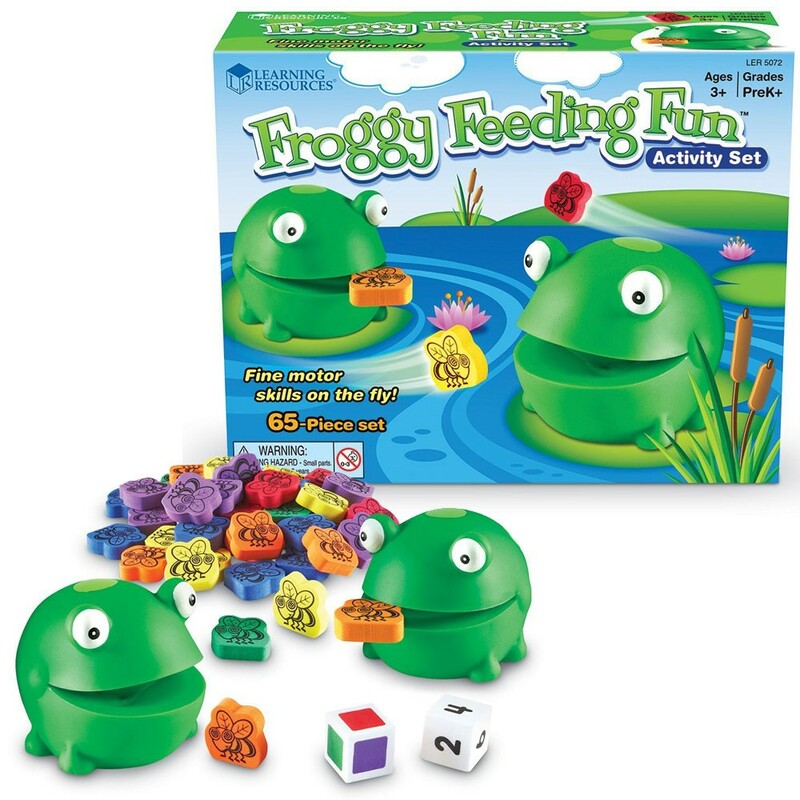 Froggy Feeding Fun Preschool Game by Learning Resources is a learning game that promotes motor skills, counting, color recognition and social skills for the youngest kids. 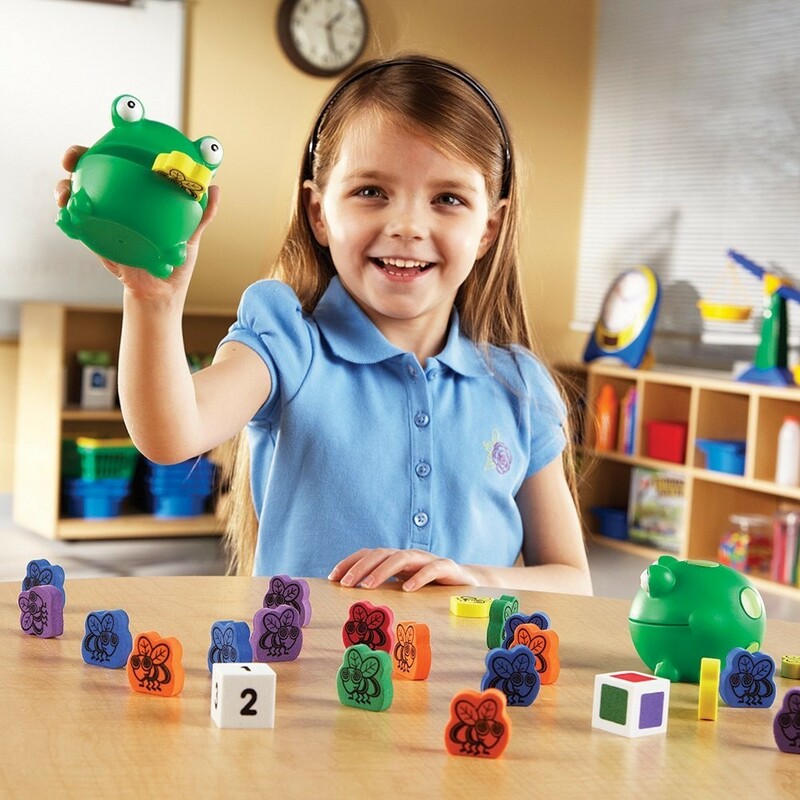 This preschool kids game features 2 rubber frogs, 60 colorful flies, 1 number dice, 1 color dice, and game instructions. 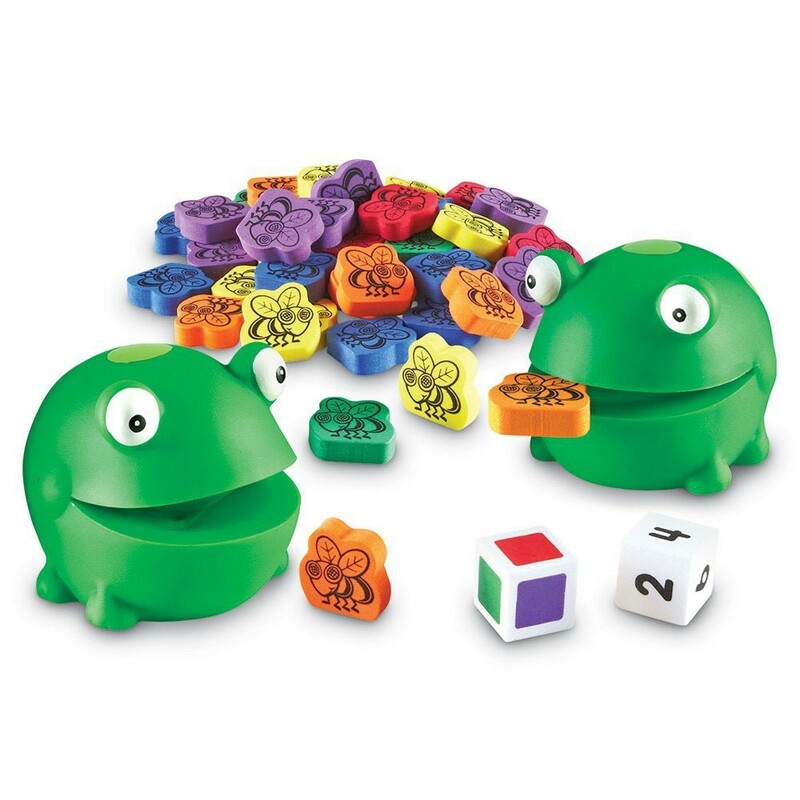 At their turn children roll both cubes to see how many flies and which color Froggy will eat. 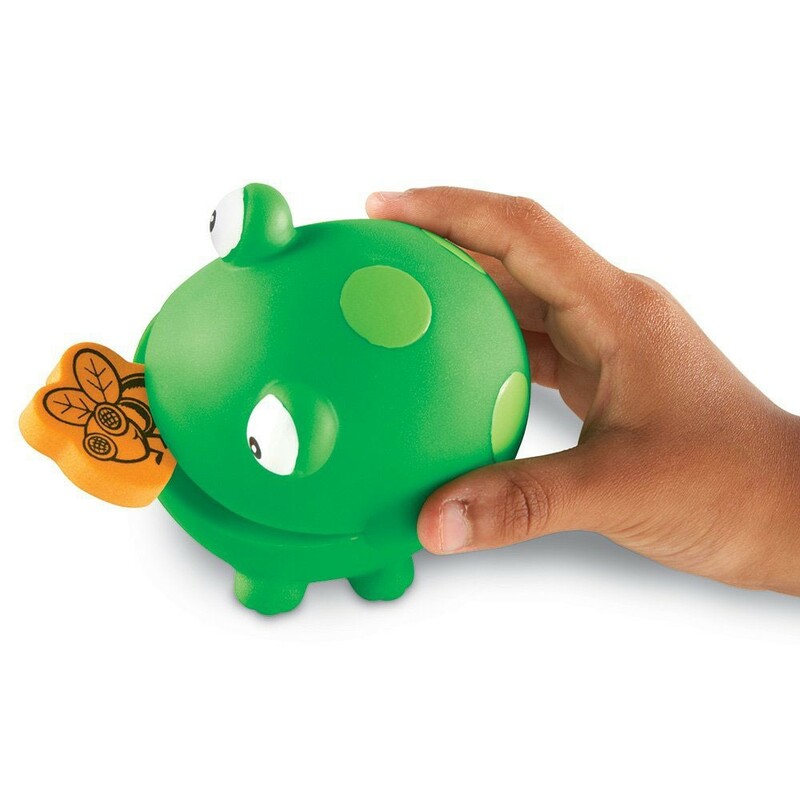 Find the right flies, count them, squeeze open frog's mouth and put the flies in. 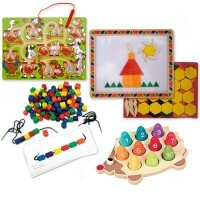 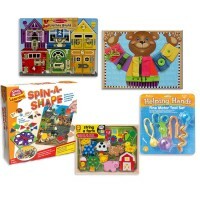 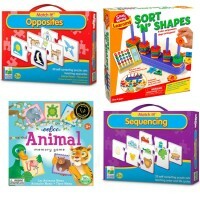 Froggy Feeding Fun Preschool Game from Educational Toys Planet will bring fun time for preschoolers. 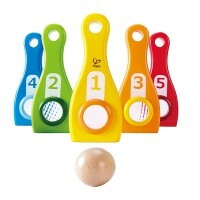 Each frog from this first game measures 2.5 inches in diameter. 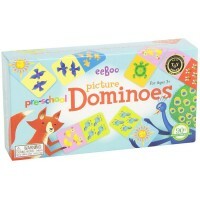 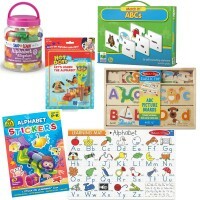 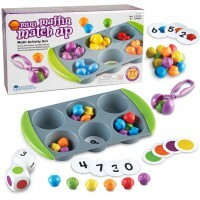 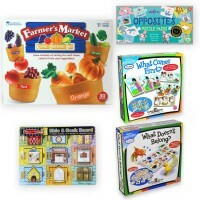 Dimensions of package 7" x 9.2" x 3"
Write your own review of Froggy Feeding Fun Preschool Game.